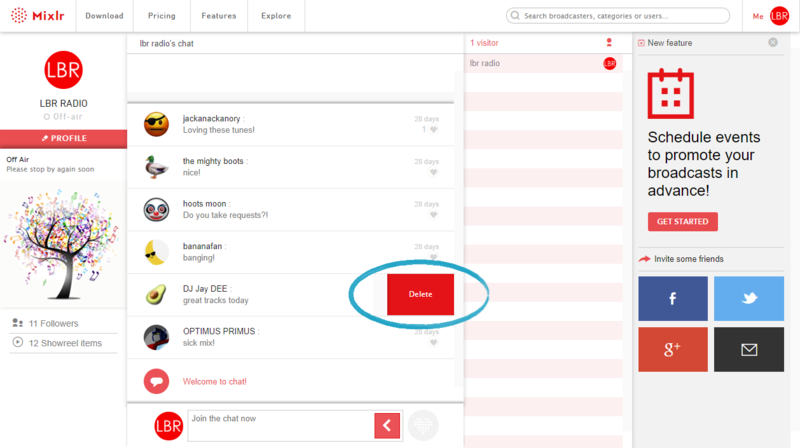 This article will show you how you can delete a chat comment from a Mixlr livepage. You can delete any comments which have been posted on your own Mixlr livepage. You can also delete any comments which you've posted on other livepages. To delete, first go to the livepage from which you want to delete the comment. Hover the mouse over the comment and a small 'x' will appear to the right of the 'Heart' icon. Click the 'x' and you'll see a larger 'Delete' button appear. Click the 'Delete' button to delete the comment. 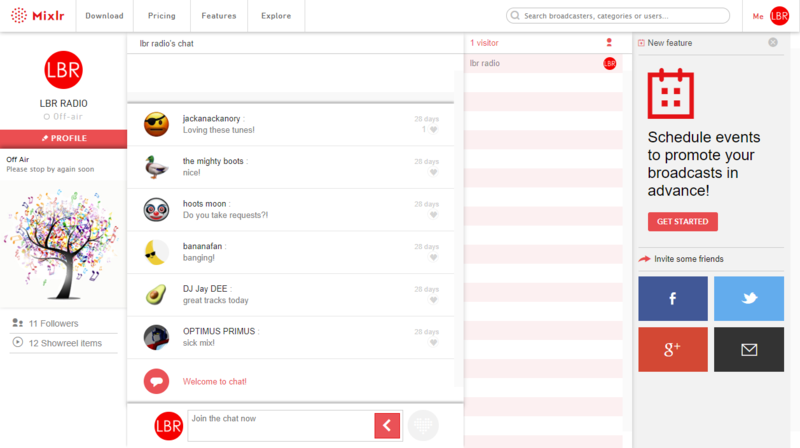 Click here to find out how to disable chat on your own livepage.